Come enjoy this one day workshop on March 2nd, 2019. Experiment with reinventing and reinterpreting the ordinary into minimal reductive abstraction. In this workshop you will learn how to take a realistic image and translate its colors and structure into a work of abstract art. Please bring a photograph of an image you would like to work with for your class project. Acrylic paints, brushes and panels will be provided. Feel free to bring your own art supplies if you prefer. Workshop is limited to twelve participants for maximum one on one time with our instructor. Assisted by artists Karen and Bruce Licher of Independent Project Press. Workshop will be held at The Project Room @ Independent Project Press, 186A Willow Street in downtown Bishop. Saturday, March 2nd: 10:00 AM-Noon Lesson on Reductive Art. Reduce your black and white photograph into reductive compositions. 1:00-3:00 PM Lesson of Color Theory. Select two color schemes to apply to abstract versions of your photograph. 3:00-4:00 PM Group Discussion about what everyone has created during the workshop. Barbara Kerwin is author and publisher of the popular book Drawing from the Inside Out, a college level textbook offering 140 projects, techniques, and strategies for drawing. The book presents inspiring and informative examples of works by both students and masters of art spanning The Renaissance through Contemporary Art. 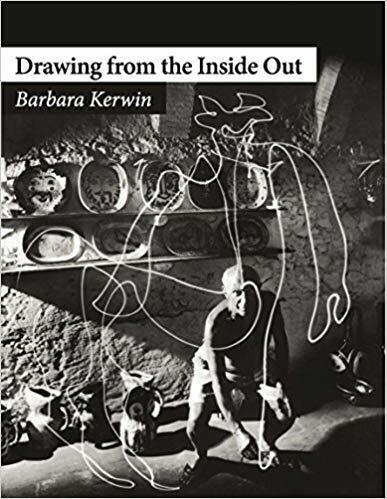 Cost of Drawing from the Inside Out by Barbara Kerwin: $89.00 plus $10.00 shipping in the USA. Additional shipping costs applicable on all orders shipped outside of the USA.